Fast forward to this weekend, when as part of its summary of Top Macro Trades for 2019, UBS wrote that the loss of China's current account cushion, softening domestic activity, and upcoming tariffs mean that "for the first time in 25 years, China would have to make a choice between external stability and growth." Still, with many policy levers still available, China is likely to avoid uncontrolled depreciation, but with little carry protection, UBS believes that it makes sense to remain defensive on the CNY, especially as many currency strategists expect the trade war between the US and China to get worse, pushing the Yuan below Beijing's "redline" of 7.00 vs the dollar. 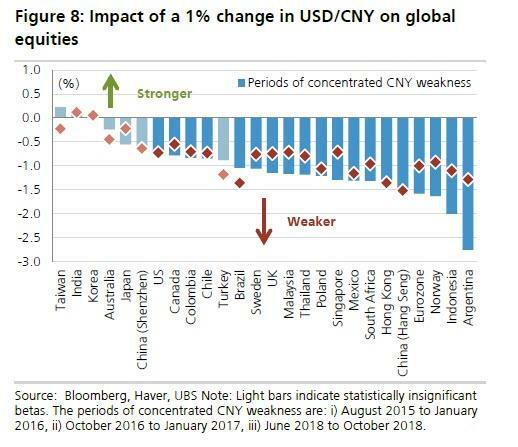 Which brings us to one of UBS' top recommended themes and trades for 2019, namely "China Stimulus" represented by going long Chinese stocks, and short the Yuan. 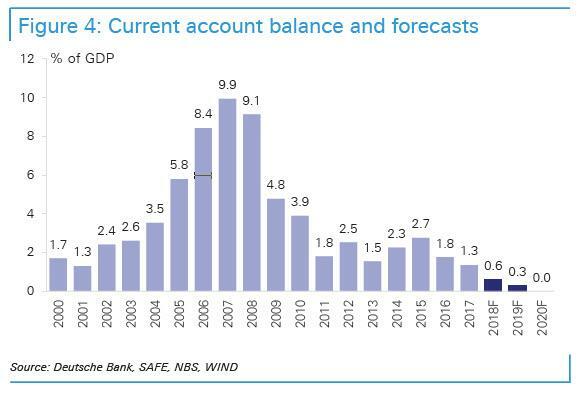 As UBS explains, Beijing's dilemma is that Chinese easing now has to balance conflicting demands between external stability and growth. This according to the Swiss bank, "should lead to a welcome, but more limited, stimulus in this cycle and more emphasis on domestic than foreign spending. 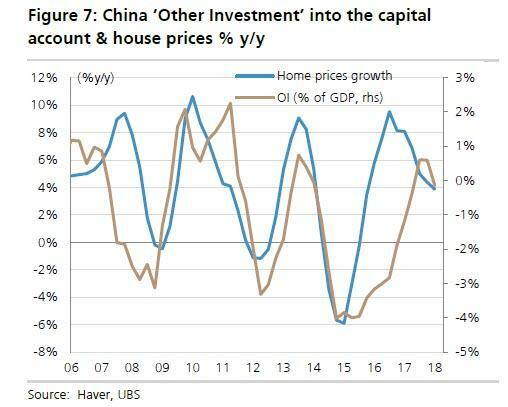 In turn, this easing cycle will likely provide more benefit to domestic assets rather than traditional China satellites."